At the age of 8 in Brooklyn, NY, George Hanold Senior began his progressive business journey as a newspaper boy, electrician's helper, neighborhood cleanup advocate laborer, and aeronautics factory employee, all the while putting himself through, St. John's Preparatory from which he graduated at age 16. At 17, George enlisted in the US Army and volunteered for Paratrooper School. He traveled to South East Asia - Cambodia, Laos, Viet Nam - in early stages of "Vietnam War Era". Three years later after an extended tour in VN, he joined the NYPD's newly formed Tactical Patrol Force, established to counter massive waves of crime and riots in the 1970s New York City. During that time he received the BA Degree from John Jay College of Criminal Justice, CUNY. He later earned 2 Graduate Degrees. An MA Degree in English and American Literature, after which he taught as a Lecturer at State University of New York; and subsequently was awarded the MBA Degree from Pace University, Lubin Graduate School of Business, in Finance and Marketing. In 1986 he founded his first business, Alliance Marketing International Corporation on Madison Avenue in New York, as a pioneer of the first "Affinity Credit Card" programs with banks including Mellon Bank, and City Bank. From that business he expanded to San Francisco, and launched his financial product innovation HOMEOWNER'S GOLD® through a joint venture he steered with General Electric Capital Corporation and Countrywide Mortgage. The first 'non-bank' HELOC and HELOC Credit Card Program in the country was created with Countrywide through a warehouse line with GECC, effectively rendering Alliance Coastal Corporation a wholesale mortgage company. 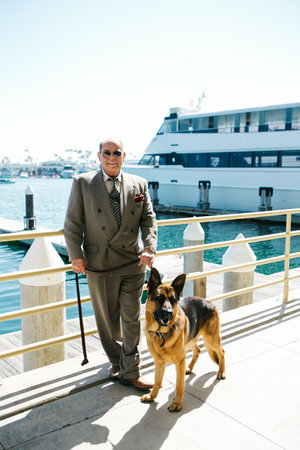 A few years later George utilized his broker's license in Newport Beach, CA and branded HANOLD PROPERTIES. Taking on the large franchise realties dominating the housing sales market, HANOLD Properties made its mark seguing into residential, investment, and commercial property sales. Researching the real estate economy seven years ago, HP began pioneering bank short sales after identifying the LTV risks faced by mortgage lenders and property owners. Today, as HP continues its cutting edge insights into the real estate markets, it has launched into bulk property sales and purchases with large investment houses seeking distressed assets from banks and other holding companies across the country, while still maintaining its core operations in Newport Beach. has closed transactions with Blackstone Group, American Homes For Rent, Anchor Loans and has extensive banking relationships. George has been mentored by and developed relationships for Gregg Herbert, one of two principals at Orton Development, Inc., a problem solving development group who acquires notes and REOs from major banks, REITs and Fortune 1000 companies. George facilitates introductions between Principals, CEO's, and President's of major companies, including overseas. 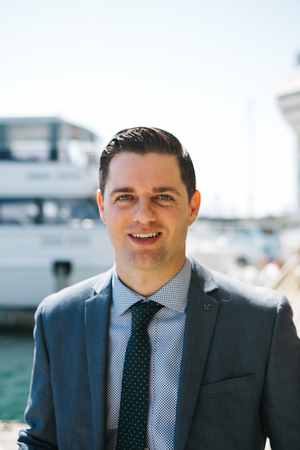 George's primary focus in his career has been working with investors and therefore he sees real estate through the eyes of seasoned professionals. George handles mostly high-end residential real estate transactions, but is currently engaged with some of our clients on raw land, commercial, hotel, condominium development, and retail/ strip center opportunities. He has interned for Congressman Dana Rohrabacher, has been a youth leader at The Crossing Student Ministry for over half a decade, was a Co-Founder of the Advisory Committee of Teens Costa Mesa, was a leader in community volunteer programs including Estancia High School Cleanups and Re-leaf Costa Mesa, and is a high level ice hockey player. George is known best for his encouragement, fearlessness, kindness, negotiating, competitiveness, and faith. is a real estate broker with 8 years experience in real estate. She spent 3 years working for Keefe, Bruyette, and Woods, an Investment Bank / Stock Brokerage in New York City. There she worked in Equity Capital Markets, assisting in small cap and large cap Bank, Insurance Company and REIT IPOs and Secondary Offerings. She also worked in Equity Sales, Private Client Services, managing and trading stocks for high net worth individuals. Regan’s real estate background includes high end single family home sales, triple net lease sales, land sales, proficiency in short sales, bank negotiations and personalized relationships. 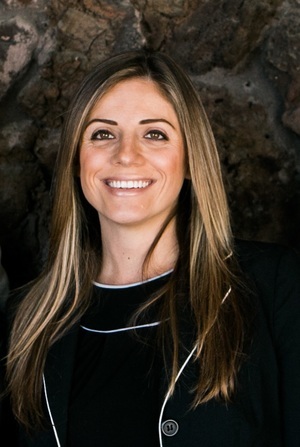 Regan specializes in diligent follow up and is extremely proactive in her efforts in buying and selling real estate. Regan will actively communicate with her clients on a regular basis and maintain a positive relationships throughout escrow to ensure a smooth transaction. Her hands-on approach to every single real estate transaction is unparalleled.